The exhibition of the court representative portrait, created for family galleries. 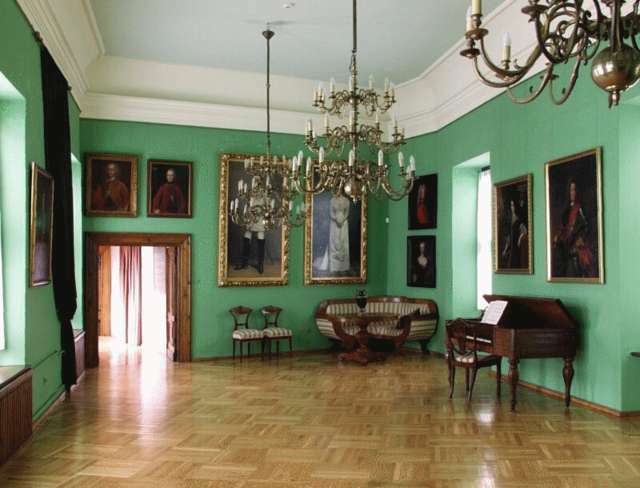 Images of members of the Prussian aristocracy from the families: Dohna-lords of Gładysze and Markowo, Denhoff from Drogosze, Lehndorf from Sztynort, Groeben from Ponary, Kunheim from Judyty, Tettau in Livonia, as well as Schwerin, Podewils and Auerswald. 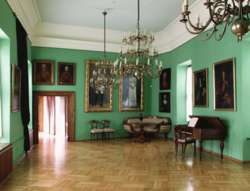 The exhibition in the interior stylized as a salon from the end of the 18th century is situated on the first floor, in the so-called ballroom, the only room of the palace containing the original details remaining from the original palace.